The Council has a duty under the Environment Act 1995 to review and assess the air quality in its area. The air quality in the South Hams is generally excellent, however there are certain locations where due to road traffic the measured Nitrogen Dioxide (NO2) is above the legislative limits. As such the Council has declared three Air Quality Management Areas these being located in Totnes, Ivybridge, and Dean Prior. The three air quality management areas shown above have been declared due to poor levels of Nitrogen Dioxide (NO2) in breach of the national objective levels of 40ug/m3. The main cause of the elevated levels of NO2 is believed to be associated with road transport as there are no industrial or commercial sources within close proximity. Once an Air Quality Management Area (AQMA) is declared the Council is under a legal duty to work with other organisations such as Devon County Council to devise an air quality action plan with the aim of alleviating the cause of the poor air quality in as short a period of time as possible. 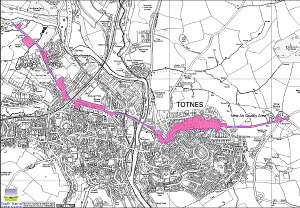 Following the review of the Totnes AQMA in 2016 the Council has been working with its partners on a clean air strategy. 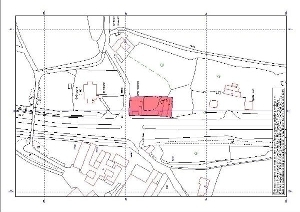 Consultation on the draft document began in April 2018 and the document can be downloaded from the right hand side of the page. We monitor, review and assess air quality on a monthly basis using a network of diffusion tubes, throughout the district. These tubes are primarily located within the air quality management areas to monitor the current levels of Nitrogen Dioxide. On an annual basis the Council has to produce an Annual Status Report (previously Updating and Screening Assessments and Progress Reports) these reports contain details of the monitoring we have undertaken and the steps taken so far to improve the air quality in the area. The previous 2 years of reports can be downloaded on the right hand side of this page, if you want more information please contact Environmental Health by completing the Ask the EH team a question. 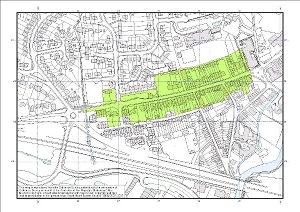 It is recognised by the Government in the National Planning Policy Framework that development can have the potential to adversely impact on air quality, as a Council we will only accept development that off-sets its impact to an acceptable level and protects future residents from exposure to poor air quality. The Council will expect certain planning applications to be accompanied by an air quality assessments and these assessments to be carried out in accordance with guidance from the IAQM. The Council's validation checklist has more details on when an air quality assessment will be required can be found. If you would like some help or advice on your air quality assessment please contact Environmental Health by completing the Ask the EH team a question.